The sight of a teenager with their attention focused on a smart phone, thumbs flying and oblivious to the rest of the world, is so common that it has already become a cliché. If you asked many parents what their teen is doing that requires so much thumb action, the likely answer would be “texting” and much of the time, they would be right. An average teen currently sends more than 60 text messages a day according to a study by Pew Research. But what many parents don’t understand is that as teens transition to smart phones, they are doing much more than texting. Here are some of the other things your teen is on their phone. There are a wide range of apps that provide access to music on both primary smart phone platforms, but amongst teens, Pandora seems to be the top pick. The music service allows teens to create their own radio stations by selecting a certain musical group, genre, or song. Pandora than pulls together similar music to make a custom station. For teens, this provides easy access to new music all the time without incurring the costs associated with downloading music or purchasing CDs. 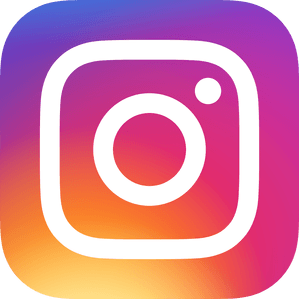 Instagram is the top photo editing app available for smart phones. Teens love it because they can edit the pictures they take with the cell phone – the primary method most of them use to document important moments in their lives – edit them, and then post them directly to the social network platform of their choice. It is a completely streamlined way of taking pictures, putting your own spin on them, and then sharing them with the world. These games are fun in their own right, but the “with friends” part of each game is one of the main attractions for teens. Each game lets you challenge people from your social networks to play, enabling you to play very long distance rounds against people you could never play against in person. Additionally, because the games are turn based, teens can play when it works for their schedule and aren’t required to be actively playing at the same time as their opponent. Smart phones make it possible to access YouTube, Netflix, and many other content providers from anywhere which means your teen might be watching a new movie on Netflix, a funny cat video on YouTube, or an episode of their favorite television show. Regardless of how your teen uses their smartphone, parents should set limits with the phones. Parents can simply monitor what their teen does on their phone by knowing what apps are loaded, how much they talk and text, as well as simply limiting how much and what times of the day teens are permitted to use them. Simply instituting the rule that there are no phones allowed at the dinner table can go far towards increased healthy communication with your teen. In this age where the world of entertainment can literally be at our fingertips, we need to remember that nothing can replace the value of face to face communication and interaction.